"There are many incarnations, like Lord Rama and even Krsna, who taught Bhagavad-gita, which requires knowledge and understanding. 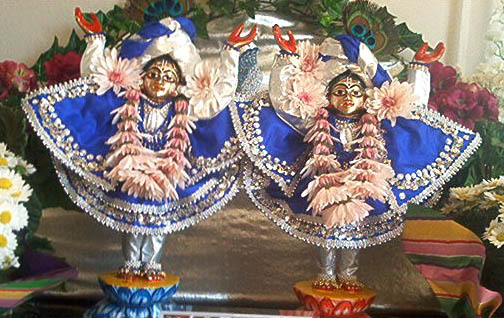 But Lord Caitanya and Nityananda introduced a process that is simply joyful -- simply chant and dance. Therefore, Locana dasa requests everyone, bhajo bhajo bhai, caitanya-nitai: 'My dear brother, I request that you just worship Lord Caitanya and Nityananda with firm conviction and faith.' Don't think that this chanting and dancing will not lead to the desired goal. It will. It is the assurance of Lord Caitanya Mahaprabhu that one will get all perfection by this process. Therefore one must chant with firm conviction (biswasa kori')."